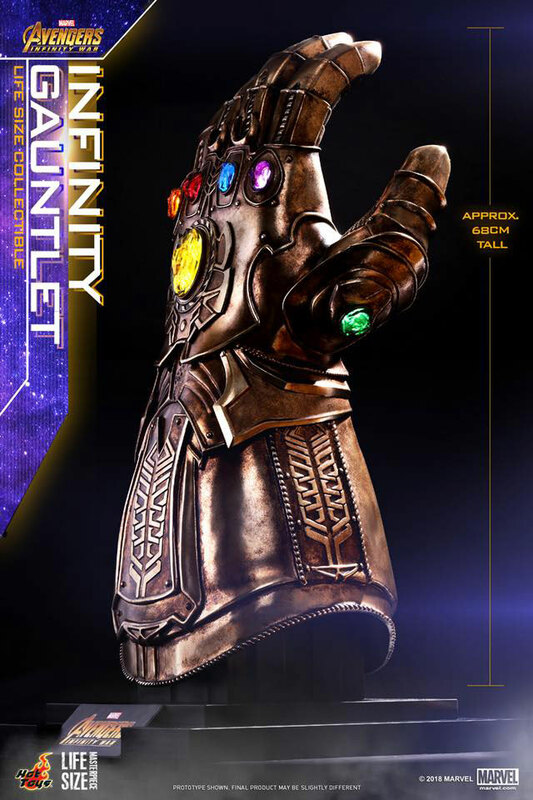 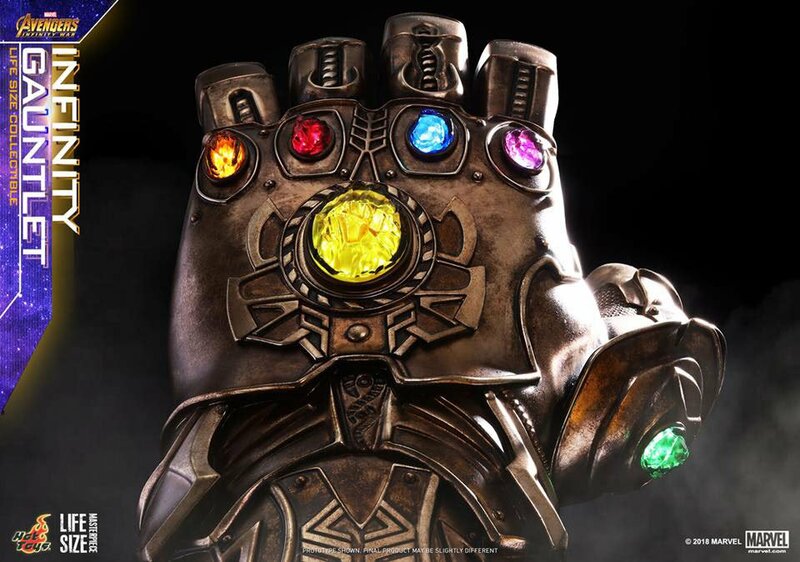 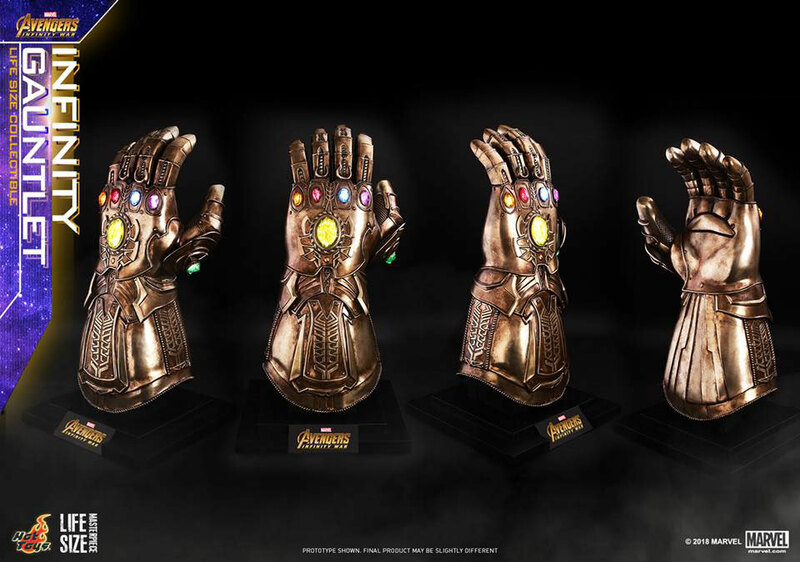 Hot Toys presents this life-size model of Thanos’ Infinity Gauntlet from Avengers: Infinity War. 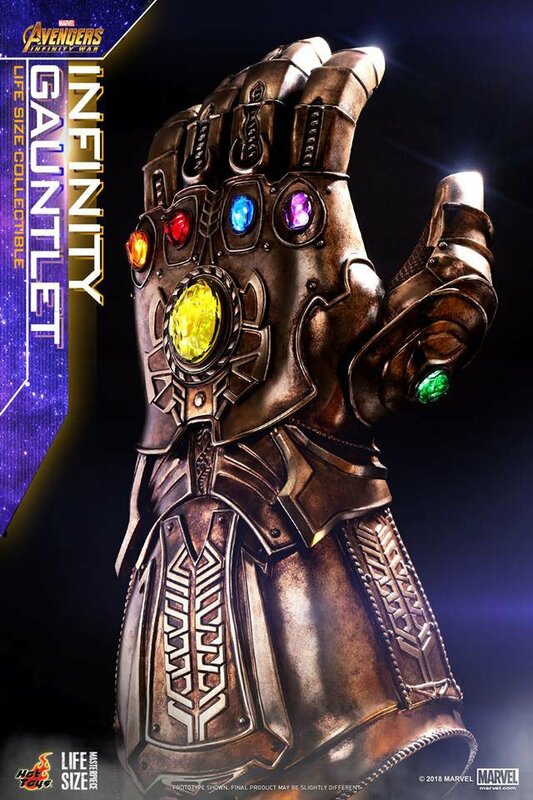 The gauntlet is made of polystone and is nearly 27″ long. 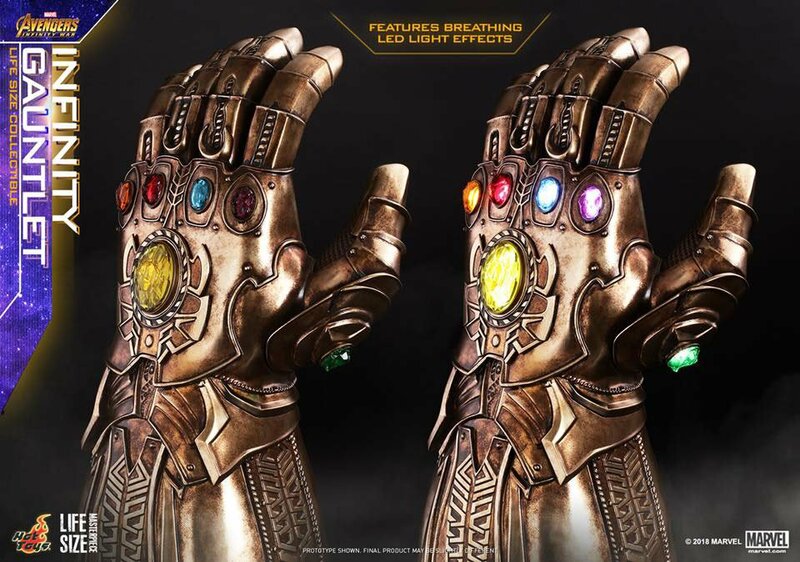 The gems are lit by LEDs, which can be left on or set to a pulsing mode. 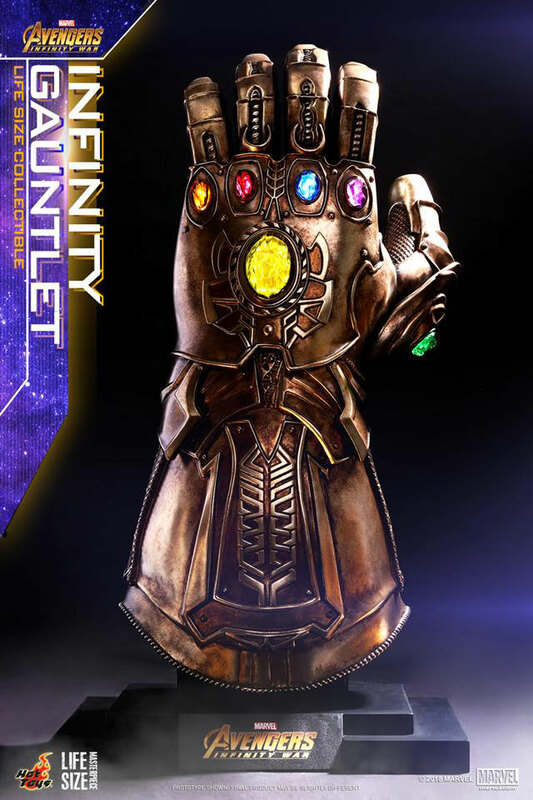 Each gauntlet is hand painted.